A sporty wagon with a little more oomph than expected, the Toyota Caldina is a family-friendly vehicle. The Caldina was a rather sporty little wagon for the fifteen years that Toyota kept it in production. Each of its three generations seemed to do quite well and it became a popular and reliable vehicle for small families. The second and third generations sought to improve the Caldina from how it was in the preceding generation. The second, specifically, made modifications to the Caldina’s structure and added safety features that were lacking in the first generation. Availability of options were further increased with the third generation, and existing features were given a good polish and update. Most drivers and passengers of the Caldina say that it’s comfortable for what they need. Taller drivers find that it offers more than enough leg room—a feature that is sometimes compromised in other vehicles, family-oriented or otherwise. It offers seating for five, plus cargo space for luggage and whatever else a family needs to get around in their day-to-day. Most Caldina owners kept their cars well maintained, so most used ones are in fairly good condition considering that the model was discontinued almost a decade ago. The design was given new life with Scion, who has included many of its features and basic form in their current models. The Caldina actually went above and beyond the expectations for most wagon-style vehicles, offering a lot more power than what is traditionally found with a wagon. The Caldina first entered into production in the early 1990s, so there are a lot of issues that drivers will encounter that are strictly due to age. The first generation Caldinas, for example, were nothing to write home about and are prone to a lot of problems. The manifold on first generation Caldinas have been known to warp, especially in GT-T model Caldinas. Some of the parts that are universal to all generations of the Caldina seem to have a shorter lifespan than others, with many drivers reporting repeated replacements to the same part during ownership. Mechanic work for Caldinas can be pricey, not just because of the frequency that repairs need to be done. 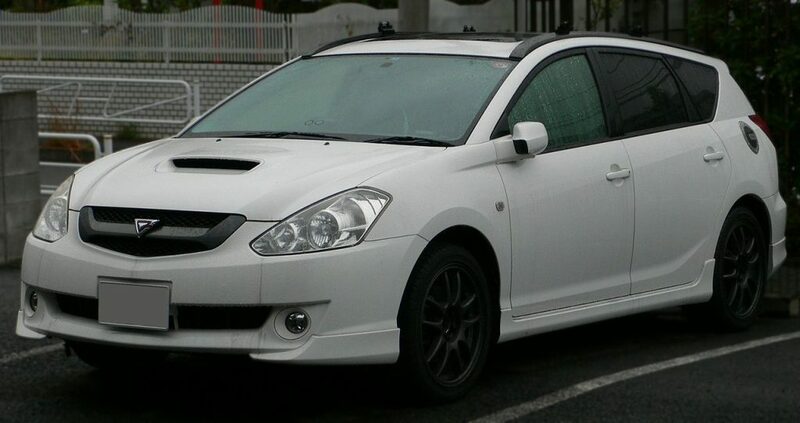 By the time that production stopped in 2007, the availability of replacement parts for the Caldina were already being limited. Toyota still offers replacement parts for the Caldina, but they are often ridiculously expensive and can take time for owners to get. Buying parts from a third-party does work on occasion and they do tend to be a much cheaper option, but it can be especially difficult to find reliable working parts for the Caldina. A major complaint with the Caldina is that it lacks the proper amount of space for it to be truly comfortable for as many people as it claims it can carry. If all five seats are filled then it’s a bit of a tight fit, even without luggage. The leg room may accommodate taller passengers, but it lacks in general headroom. Anything but a smooth road may make adult passengers a little nervous and worried about smacking their heads on the car’s roof. The Caldina’s engine is also loud—and I’m not talking about you can hear it in the background. It’s noisy when it’s simply idling and an outright roar when accelerating. Again, this is probably due to age and some Caldina’s are not as bad as others, but it should be taken into consideration.